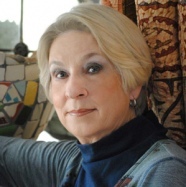 Jan Seale, the 2012-13 Texas Poet Laureate, is the author of eleven poetry volumes, two books of short stories, four nonfiction volumes, and several children’s books. Her writing has been published in such media as Texas Monthly, The Yale Review, and Writer’s Digest. Dramatic fiction has been featured on National Public Radio, at the Black Box Theatre in Boston, and at the Dallas Museum of Art. Her latest book of poetry is The Parkinson Poems, while the latest nonfiction is Nature Nurture Neither. Seale has taught writing at three universities and has held a National Endowment for the Arts fellowship. She lives on the Texas-Mexico border.